This article was first published in April 2016 and revised in August 2018. There is no stopping the flood of new attractions on our island. However, lets not forget the gems of old Singapore! 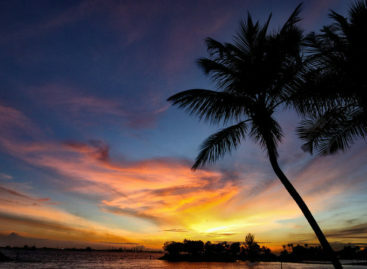 Come with us to visit an island of another time and re-discover forgotten sights. While high rise buildings are a common sight in present Singapore, our past was filled with Kampongs. These villages are gone today- all but one. Kampong Lorong Buangkok is the last of its kind with less than 30 houses. 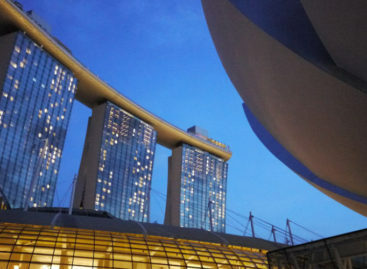 According to the Straits Times the property is worth over $30m, but the owner just won’t sell. Visit the village to find out why- just walk in. After all, it’s just another neighbourhood. There is nothing quite like this mythological theme park. Opened in 1937, its creators wanted it to be remembered for generations to come. 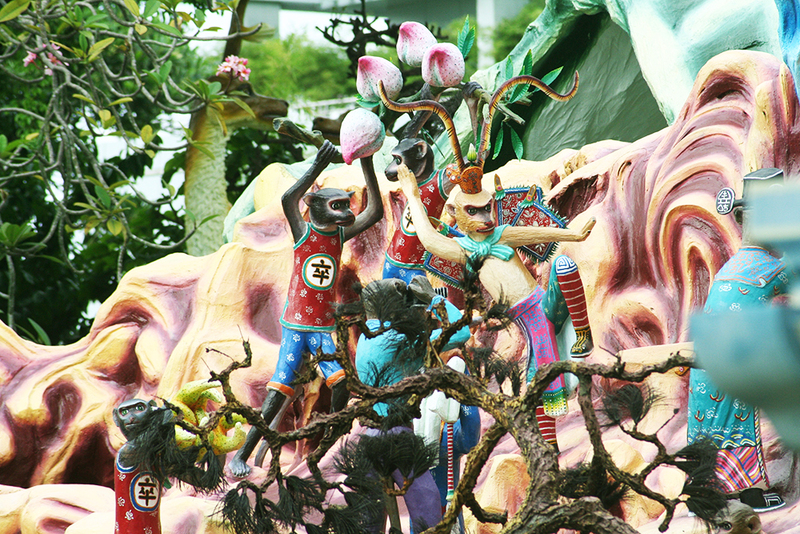 Even by today’s desensitised standards, Haw Par Villa and its fantastical creatures will have you looking twice. Over 100 statues and 150 dioramas portray various stories from Chinese folklore and mythology. The highlight of your visit will be ‘the Ten Courts of Hell’, recreated according to Chinese mythology. It might be hard to believe but Tanjong Pagar Railway Station was once the main point of entry into Singapore. It closed in 2011, but still stands in its original form. Today, it marks the entrance to the ‘green corridor’, the original railway line to Malaysia and a nature trek ideal for cycling. Be sure to visit soon, as the government is already planning to rebuild it, although the redevelopment is set to take place over 20 years from 2015. If you do, hop down to nearby MAAD (Market of Artists and Designers) one of our favourite flea markets! Forget about wellness spas in the city, Sembawang takes you back in time with its natural hot spring. Unknown to most, the hot spring is closely located to old Sembawang Air Base. Its free for anyone who cares to make the trip! To get there, stop at Yishun MRT station (NS13), take Exit C and board buses 858 or 969 from bus stop B59079. Alight 4 stops later at bus stop B57121 and walk to Sembawang Hot Springs. Update: The Sungei Road Thieves Market ceased operation on July 10, 2017. This text below is kept for posterity. Located on Sungei Road and in close proximity to Bugis MRT, this market used to be the spot for thieves to sell their loot. Today, it offers curiosities from yesterday, including small antiques, strange tools and things you didn’t know existed. Be sure to visit soon, the new MRT station next door might pose an ultimate end to this market. 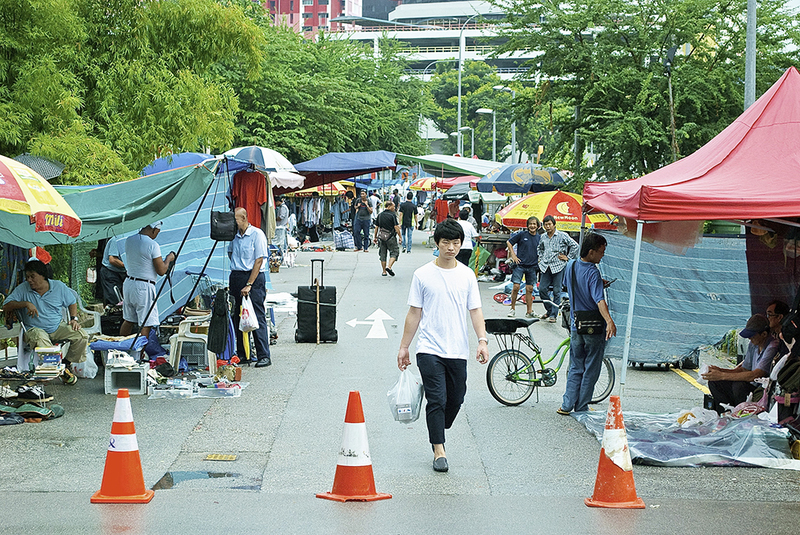 The market is also featured in our Little India neighbourhood guide! 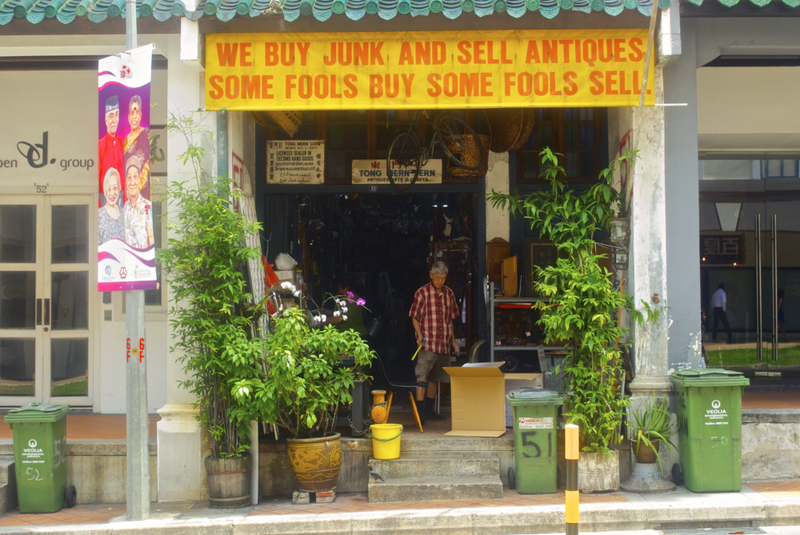 A banner at the entrance dispels any doubts: ‘We buy junk and sell antiques some fools buy some fools sell’. Located in a small shophouse on Craig Road, this antique shop is a journey back into Singapore’s past through furniture, memorabilia, and objects from the island’s history. 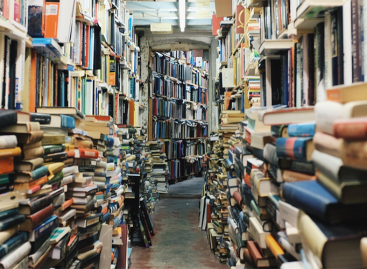 Collecting ‘stuff’ for over 40 years, the owners have a true passion for everything that has a story to tell- and are happy to share these stories with you. Old Changi Hospital – A supposedly haunted piece of history! Coney Island – The little sister of Pulau Ubin has recently been stealing the limelight. Pulau Ubin – Singapore’s favourite nature getaway, an oldie but a goodie. Bukit Brown – Another haunted cemetery to be tried, if you’ve got the guts.